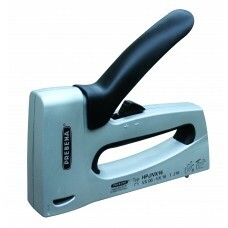 Prebena offers a wide range of hand tackers. 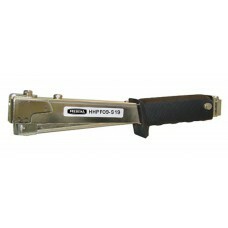 Hammer tackers, hand tackers and even a pneumatic nailer are in the assortment. A simple and fast allocation of the fasteners to the hand tackers is possible through the practical packaging of the fasteners in blisters at household quantities and a color guide system. 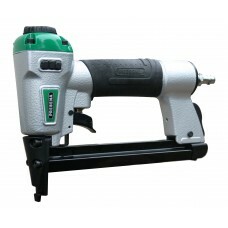 The search for the right fastener for your hand tacker has now come to an end. At Prebena you will find your fitting fastener at the first glance thanks to a clear exhibition and a color scheme. 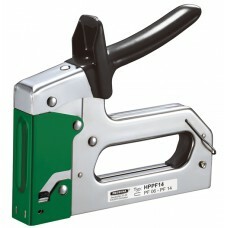 Combi hand stapler and tacker.Technical specification:Weight: 0,6 kg (1.32 lb. )-Length: 179 mm (7.05..
For staples type PF from 6 - 9 mm (1/4” - 3/8”) Applications: Fastening of roofing felt, paper, insu..
For staples type PF from 6 - 14 mm (1/4” - 9/16”) Applications: Upholstery, decorating, insulation, ..